Raymond Carp in prison six years after conviction at age of 15. 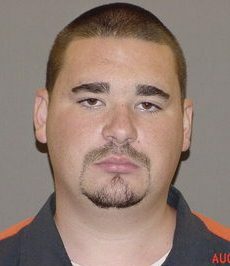 Raymond ‘Butchie’ Carp assisted in brutally murdering the grandmother of my children. She opened her heart and her home to these two men. They took her life. She robbed 5 children of the mother who raised them. He deserves to rot. And Michiganders deserve for people who are dangerous, immoral, and twisted to stay off the street. If you are that warped at 15, I would hate to see you at 22.